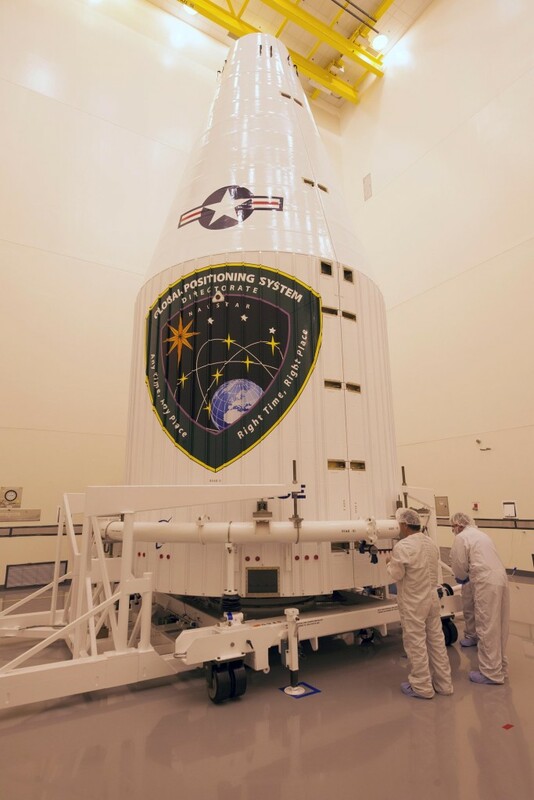 February 3, 2016 – The U.S. Air Force and its mission partners are set to launch the 12th and final Boeing-built Global Positioning System GPS IIF satellite aboard a United Launch Alliance Atlas V 401 Evolved Expendable Launch Vehicle. Liftoff is scheduled for February 5 from Space Launch Complex 41, Cape Canaveral Air Force Station, Florida. The launch window opens at 6:38 a.m. MST (8:38 a.m. EST) and will remain open for 19 minutes. This mission will mark the end of an era for the GPS IIF program and signifies a momentous achievement in the history of the GPS constellation. This will be the 72nd GPS satellite delivered on-orbit since 1978, once all necessary checks are completed within a few weeks to a month after launch. Although this will be the finale for GPS IIF launches, the need for GPS IIF capabilities remains strong to update the constellation and maintain the high level of accuracy required by the GPS systems. The contractor, industry and government teams played an imperative role in the GPS IIF mission ensuring users around the world continue to receive improved GPS service. “This is an exciting time for Space and Missile Systems Center. Next week we will launch the final GPS IIF satellite culminating years of extraordinary team work and commitment to mission success,” said Lt. Gen. Samuel Greaves, Space and Missile Systems Center’s commander and Air Force program officer for space. “This is a significant milestone for GPS. The GPS IIF satellite performance has been exceptional and is expected to be operational for years to come.” Greaves said. The Boeing-built GPS IIF satellites provide improved signals that enhance precise global positioning, navigation and timing services. GPS IIF provides improved navigational accuracy through advanced atomic clocks, a longer design life than previous GPS satellites, a third operational civil signal (L5) that benefits commercial aviation and safety-of-life applications and it also continues to deploy the modernized capabilities that began with the GPS IIR-M satellites, and a more robust military signal. The Air Force is committed to providing improved capabilities to ensure users receive the maximum benefit of the positioning, navigation, and timing services offered by GPS. Operated by U.S. Air Force Space Command, the GPS constellation provides precise positioning, navigation and timing services worldwide 24-hours a day, seven days a week. Air Force Space Command’s Space and Missile Systems Center, located at Los Angeles Air Force Base in El Segundo, California, is the U.S. Air Force’s center for acquiring and developing military space systems. Air Force Space Command’s 2nd Space Operations Squadron (2SOPS), based at Schriever Air Force Base, Colorado, manages and operates the GPS constellation for both civil and military users.